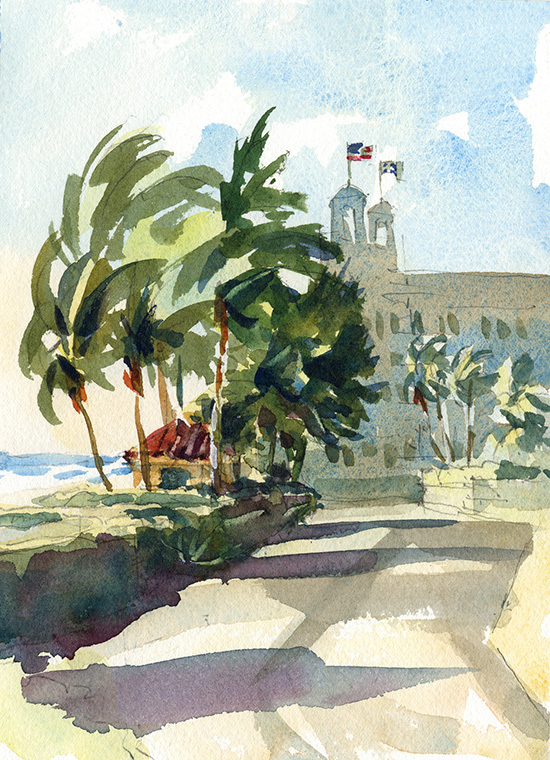 Sketch along North Ocean Blvd. Palm Beach. 6″x8″ 140lb Fabriano Artistico cp. Plein air. HI Gil, Now that I don’t see your sketches on Craftsy, I have to come to your blog to look at them. Always a pleasure to see your sunny scenes and your ease with a brush. Thanks Shari I’m so delighted you stopped by. I have to smile thinking of me sketching that scene in the Florida breezes and you thawing your limbs at the end of a session, don’t know if I could ever do it. It’s been a bummer for us Craftsy students not to be able to post new work and get your feedback.